This is Passion | Shoot & Share | Helping Photographers Book More Clients. My beautiful daughter Damiana was having issues with balance one day, swaying while standing “still.” We knew something was wrong, but we were scared to know what it really was, and we didn’t want to know. On Friday, December 7th, 2012 she had an MRI and we got confirmation of what we were already feeling. We were told she had a huge tumor on her fourth ventricle (on her brain). We were lucky though, with the help of an incredible surgeon, they were able to remove the entire thing – miraculously – and without any of the normal complications that happen with Stage 3 cancer of this type. That night I promised my daughter we’d raise awareness and show the world this disease. I promised to fight for the others as much as we were fighting for her. That’s when I KNEW I had to photograph these children. I knew these would be my Passion Portraits. A few months later after dreaming of how to get involved, I ran across an amazing organization called The Gold Hope Project. This non-profit was started so that families could have portraits of their beautiful little fighters free of charge, and I knew I had to be a part of it. In June of 2013, an old friend texted me. Her niece Laney had been diagnosed with a form of Leukemia, and she asked if I could take photos of her family. I photographed Laney in the hallway, the only place we could go in the hospital. She worked it for me. She was full of life and lots of giggles. Two days later, Laney’s hair was gone. The family was so grateful that I could capture her in her own skin, before the changes of cancer took over her body. On Christmas day of 2013 Laney earned her angel wings. The family photos that I took of them for the Gold Hope Project were the last family photos they had. Those photos are how Laney will forever be remembered. All of this changed my life. 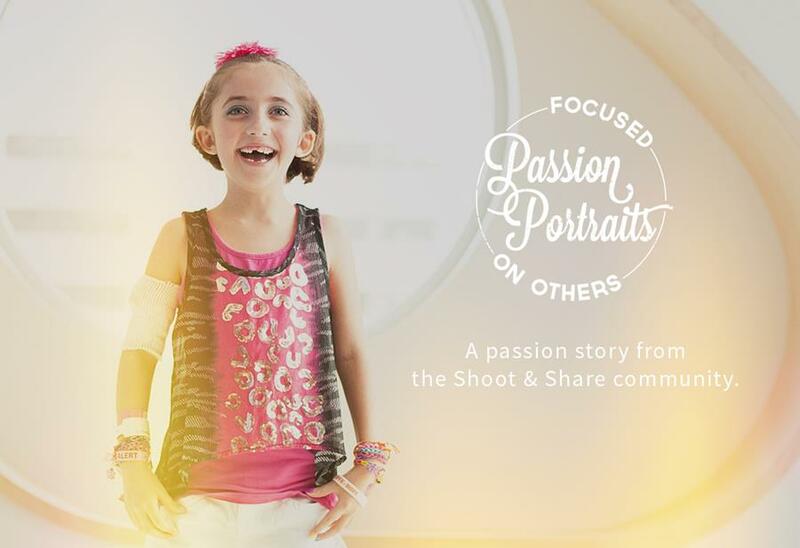 Between our diagnosis, photographing these kids, and watching Laney pass, it has changed me. My photography has changed. I watch more. I wait more. I look for authenticity in moments. It’s more about heart and love and togetherness. The Gold Hope Project has introduced me to more families like ours. Families who understand what it’s like to have fears of relapse. We are united. We are one. We celebrate the victories together, and we cry together when there are set backs. Together we have HOPE. We fight on together for those kids.